To some, they are the best fruits on earth. It provides spurt of energy and many athletes take it during their games. The healthy nutrients and it being the most sought after fruit of common man, cannot however be denied. There are so many varieties but almost all of them are ‘yellow bananas’ here – there is also the ‘green banana’ – in one way green is unripe …having starchy texture and inedible – but green banana is a variety – generally big in size. Banana, that delicious fruit is the common name for herbaceous plants of the genus Musa ~ interestingly, bananas do not grow from a seed but from a bulb or rizhome. Once the alluvial belt alongside the river Kaveri in Thanjavur, Trichy, Thiruvaiyaru flourished with banana plantation – now with water not fully flowing – understand that the cultivation too has suffered. Down south in India, eating in a banana leaf is fulfilling and traditionally food is served on big banana leaf on ceremonial occasions. Bananas are harvested when they are green. In many places, they are then treated with a gas called ethylene, which is naturally produced by ripening fruit. MailOnline reports that Scientists have now developed a 'natural dip' that can extend the life of the ripe fruit by up to two days – doubling their shelf life of around two to three days.The breakthrough could help reduce food waste. 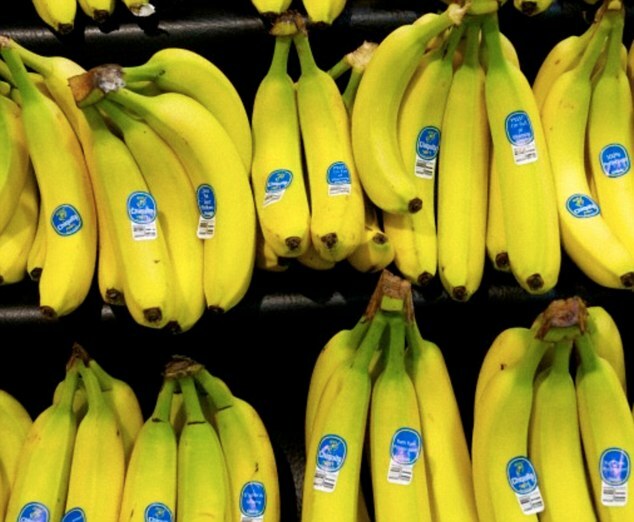 Bananas turn yellow around four to five days after the ethylene gas treatment. Once yellow, bananas are considered unsuitable for sale after two to three days.So just an extra couple of days makes a big difference to shops selling the fruit.The dip called LPE, a phospholipid, naturally occurs in egg yolks and soya beans.Zienab Ahmed from South Valley University in Egypt and JiwanPalta from the University of Wisconsin-Madison carried out the research, published in HortScience.The authors said: ‘Previous studies conducted in our laboratory have demonstrated that both pre- and post-harvest application of lysophosphatidylethanolamine (LPE) can retard aging and improve shelf life of various fruits. ‘In this study we investigated the possibility of improving shelf life of banana fruit by a postharvest dip in LPE.’Bananas that were 75 per cent green were dipped in the LPE solution for 30 minutes and then observed for a five days at room temperature.The treatment was applied to 50 uniform bananas from different bunches.The authors said: ‘Five days after dip treatment, the fruit treated with LPE were firmer and thicker as compared with the untreated control.’ The Scientists now claim that the extention by up to two days – doubling their shelf life of around two to three days - could help reduce food waste in supermarkets. Would sound confusing and out of place for our market – where colour of the banana is never the criteria and in fact all bananas are yellow – only when they become soggy and putrid, they are considered unsaleable here.